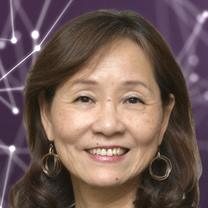 Cathy Wu, who holds the Unidel Edward G. Jefferson Chair in Engineering and Computer Science at the University of Delaware, has been given the added duties as director of the university’s new Data Science Institute. She joined the faculty at the university in 2009 after teaching at Georgetown University and the University of Texas at Tyler. Dr. Wu is a graduate of National Taiwan University. She holds a master’s degree and a Ph.D. in plant pathology from Purdue University in West Lafayette, Indiana. She later earned a master’s degree in computer science at the University of Texas at Tyler. Emilie Diouf is a new assistant professor of English at Brandeis University in Waltham, Massachusetts. Her research expertise is in Anglophone and Francophone postcolonial African literatures and film. Dr. Diouf is a native of Senegal and graduate of Cheikh Anta Diop University in Dakar. She holds a master’s degree and a Ph.D. from Michigan State University. Amalia Cochran was appointed professor of surgery and vice chair for education in the department of surgery at the Ohio State University Wexner Medical Center. Dr. Cochran is an expert in burn treatment surgery. She had been serving on the faculty at the University of Utah. Dr. Cochran holds a bachelor’s degree in political science and a medical degree from Texas A&M University. She earned a master’s degree at the University of Colorado. Margaret Hoffman recently joined the faculty at Pennsylvania State University as an assistant professor of landscape contracting. She was an assistant professor of landscape horticulture at California Polytechnic State University. Earlier, she taught at Western Illinois University. Dr. Hoffman is a graduate of the University of Minnesota, where she majored in forestry. She holds a Ph.D. in horticulture from Pennsylvania State University. Kimberly Hardy, an assistant professor of social work at Fayetteville State University in North Carolina, was elected president of the Society for Spirituality and Social Work. Before joining the faculty at Fayetteville State University, Dr. Hardy taught at the University of Connecticut and the University of Saint Joseph in Connecticut. Dr. Hardy holds a bachelor’s degree and a doctorate in social work from Morgan State University in Baltimore. She earned a master of social work degree at Ohio State University. Lisa Young, associate professor of pediatrics at the Vanderbilt University Medical Center in Nashville, was given the added duties of director of the new Center for Childhood Lung Research. Dr. Young also is the director of the Pediatric Rare Lung Diseases Program at Vanderbilt. Dr. Young received her medical training at Duke University in Durham, North Carolina and University of Cincinnati College of Medicine. 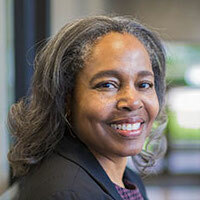 Valerie Babb was appointed the Andrew Mellon Professor of the Humanities at Emory University in Atlanta. She holds a joint appointment in the departments of African American studies and English. She has served on the faculty at the University of Georgia and Georgetown University. Dr. Babb is the author of A History of the African American Novel (Cambridge University Press, 2017) and Whiteness Visible: The Meaning of Whiteness in American Literature and Culture (New York University Press, 1998). Professor Babb is a graduate of Queens College of the City University of New York. She holds a master’s degree and a Ph.D. from the University at Buffalo of the State University of New York System. Ying Hua, an associate professor and director of undergraduate studies in the department of design and environmental analysis at Cornell University in Ithaca, New York, was named director of the Cornell China Center. Dr. Hua holds a bachelor’s degree in architecture and a master’s degree in building science and technology engineering from Zhejiang University in China. She earned a Ph.D. in building performance and diagnostics from Carnegie Mellon University in Pittsburgh.